Guy Power Sensei is a direct disciple of Nakamura Taizaburo Sensei. Nakamura Sensei, Hanshi/tenth dan Toyama Ryu iaido, was the founder of Nakamura Ryu Batto-do and the leader of the International Iai-Batto-Do Federation. Guy Power Sensei has received a Renshi title/license and a seventh dan in Toyama Ryu and an okuden certificate of proficiency in Nakamura Ryu batto-do. In 1994, he received a densho (a classical catalog of a ryu’s techniques commonly given as a sort of high-level diploma) from the founder of Nakamura Ryu. He is one of only 50 people in history and he is the only non-Japanese, to have received this honor from Nakamura Taizaburo Sensei. Guy Power Sensei was appointed by Nakamura Sensei, just before he left Japan, to head the International Iai-Batto-Do Federation in the USA. 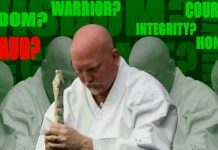 Guy Power Sensei currently holds the SMAA title/rank of Shihan/7th dan iaido and serves as a Division Director in the SMAA Iaido Division. Mr. Guy Power is a retired US Army Captain (Airborne and Ranger qualified). 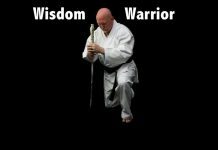 He began his martial arts training in 1968 in Bangkok, Thailand, studying Chang Mu Kwan Taekwondo under Kim Myung-soo and received his chodan in 1970. Upon return to the US, Mr. Power studied Mugai Ryu Iaido and Shorinji Tekken Ryu Kenpo under Albert Church, receiving his shodan in Mugai Ryu and Nidan in Shorinji Tekken Ryu. In 1983 Mr. 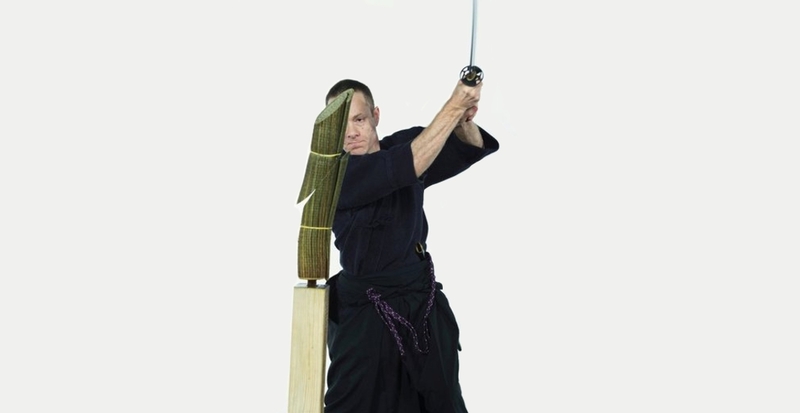 Guy Power began his studies of Toyama Ryu Iaido under the well known teacher, Obata Toshishiro. Mr. Power co-authored the book Naked Blade with Mr. Obata during this time. While completing his degree at the Monterey Institute, Guy Power received his Nidan in Toyama Ryu from Mr. Obata. When Mr. Power was assigned to Camp Zuma, Japan, from 1990-1994, he was able to study directly under the legendary Nakamura Taizaburo sensei and in 1994 he passed the examinations for Renshi and 6th Dan in Toyama Ryu Iaido. He also received the Okuden license and Densho from Nakamura Taizaburo. Guy Power was honored to perform enbu at Nakamura sensei’s 80th birthday and at the Culture Day celebration at Meiji Shrine in 1993. In 1997 Mr. 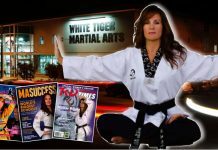 Guy Power was appointed to the International Battodo Federation as a permanent member of the Board of Directors. His Densho certificate was one of only 48 issued worldwide at the date of issue and he is the only non-Japanese holder of this certification. Mr. Power additionally holds a Master of Arts degree in Public Administration from San Jose State University.